Just an oh-so-quick peep into my kitchen this month. I’m sitting down and having my final cup of tea before we all head off to the airport. My daughter is going on an IB English literary trip to UK and France for 11 days and the rest of us are taking the opportunity to visit San Francisco during the Easter school holidays. Spring is in the air and our temperatures are mostly about zero degrees now, however, there is a nasty chinook wind blowing which is giving me a nasty pressure headache. One of the pleasures of living in Calgary is multiple atmospheric pressure changes due to the ever changing climate in a city near large mountains. I’m not the only one who gets these headaches and I’m very lucky that it only puts me in a horrible mood and not in bed for the day like some fellow sufferers. I’m a bit concerned about taking off with such a gale blowing and I’m hoping for a smooth take off for all of us today. 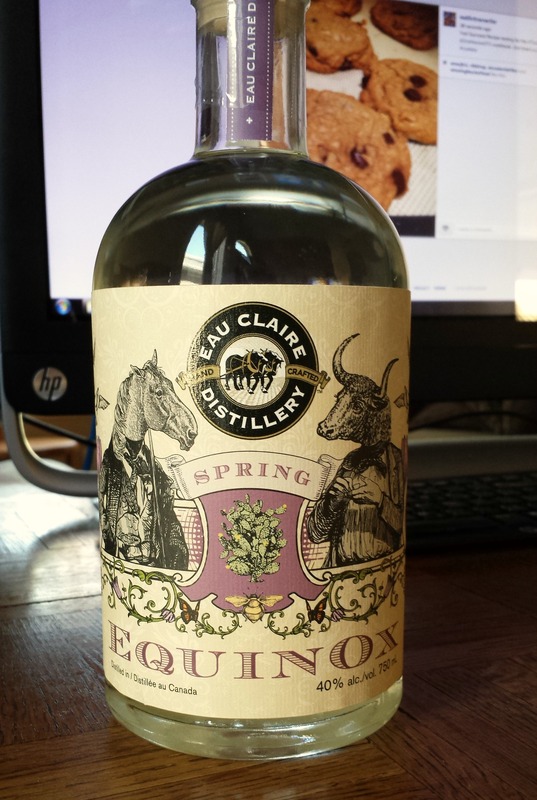 A local distillery, Eau Claire Distillery has released a special Spring spirit, ‘Spring Equinox’. It’s a lovely beverage featuring prickly pear cactus and other spring flavours. I had hubby stop by our local bottle shop and pick one up for me the very day it was bottled and shipped. I did a bit of experimentation with a new flavour. 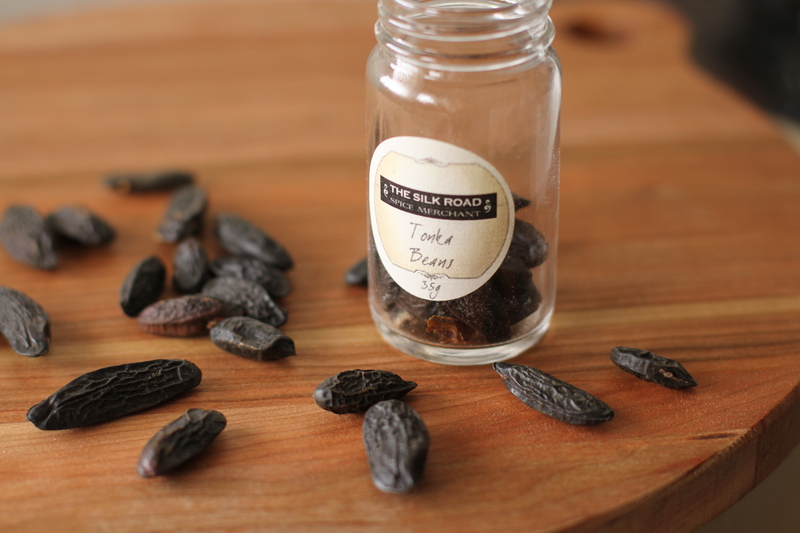 Tonka bean is similar to vanilla bean, but not exactly. I ground some up and used some in hubby’s 40th Birthday Root Beer cake. 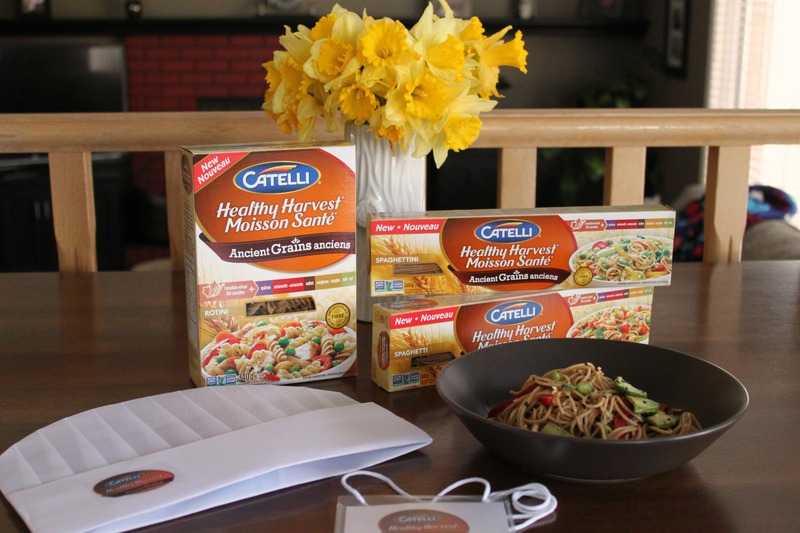 I went to SAIT Culinary Campus for the Catelli Western Canadian premier of Healthy Harvest Ancient Grains pasta and brought home lots of swag. I was pleasantly surprised that the texture and flavour of the cooked pasta were pleasing and not like any other ‘alternative’ pastas I’ve tried in the past. 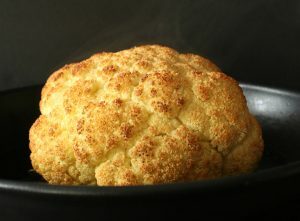 I was asked to take part in featuring Easter recipes from Ricardocuisine. Ricardo is a Canadian Chef/TV food personality with his own show and products. He most recently has launched a great magazine, Ricardo, of which I have already enjoyed reading three issues. 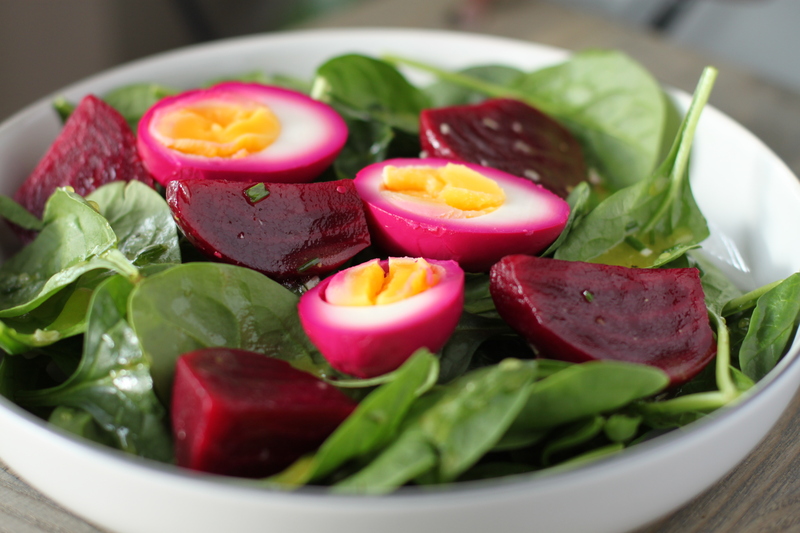 This Pickled Egg & Beet Spinach Salad was so delicious! 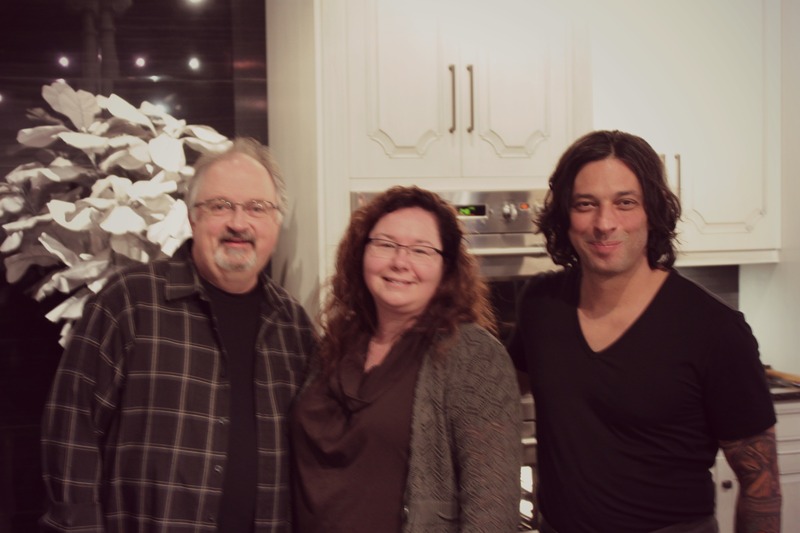 Not really IN my kitchen but in SOMEONE’S kitchen at least…I met some Canadian celebrity chefs this month. 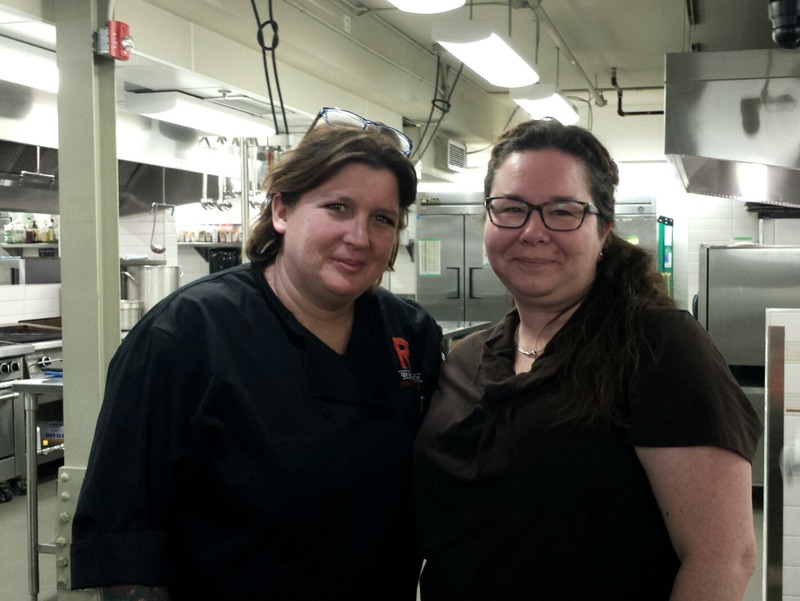 Chef Lynn Crawford was at SAIT Culinary Campus to do the Catelli launch. Chef Lynn is hilarious and kept us giggling all night. She owns Ruby Watchco in Toronto, judges periodically on Chopped Canada, and has her own show on Food Network Canada called Pitchin’ In. The other celebrity chef I met this month was Chef René Rodriquez, winner of Top Chef Canada’s fourth and final season. His popular Ottawa restaurant Navarra is a reflection of his travels and journeys to Mexico City, Oaxaca, Latin America and Spain. Chef René was at Jerome’s Appliance Gallery as part of the GE Monogram Canada wide Top Chef Canada tour. That salad looks amazing. Hope you enjoyed and had a safe trip! You will be just around the corner from me in San Francisco, have a lovely time! It is a heavenly city for a foodie. Email me if I can be of help. Hello there fellow Canadian. Wow you met Lynn Crawford! Very exciting. yes! It was a fun evening for sure 🙂 She’s pretty hilarious! The beetroot salad caught my eye right away and hope you enjoy your time in the States! Safe trip and thanks for this month’s kitchen view too! I’ve eaten tonka beans in chocolates etc. before but never bought any and used them myself. Very curious to try, now! I think you can use them in any recipe that calls for vanilla. I just ground them up using an old coffee grinder I use for whole spices and they were fine. I love the pink colouring on the eggs! Hope you had a fantastic trip! Hmmm, that’s a great question. I’m not sure. Wikipedia says South America. They are used as a vanilla substitute and in pipe tobacco. that spring equinox looks amazing. mm yes that salad looks tasty. hope you had a great trip. This all looks so wonderful! Your photos are very lovely! And lucky to meet all of those great chef’s too! I think Lynn would be a great person to meet! I love her personality on TV! She was pretty awesome! BTW how do I follow your blog Callista?